Today’s insight journey led me to the idea that sometimes things really do not have to be all that complicated. Certainly, we will all face complicated situations (and people) in our lives. That is a given. Yet, some of the complicated situations that we find ourselves wrestling with only become complicated because of the decisions that we make. Today’s insight journey led me to the idea that not every good opportunity is the right opportunity. Most of us are able to distinguish between things that are good and things that are bad. We tend to make that qualification based on our perception of the qualities that things possess as well as whether or not those qualities appeal to us. Those things with qualities that we like we tend to classify as good. And those things with qualities that we do not like we tend to classify as bad. And my guess is that, for the most part, that usually works for us. But what happens when we encounter an opportunity that we would typically classify as a good one, but that particular opportunity is just simply not right for us? I think that this is a situation that, unfortunately, trips us up more often than not. 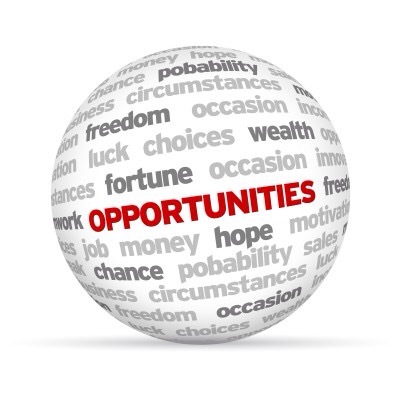 We seem to think that because an opportunity is a good one it is one that we should automatically pursue, despite the fact that there usually exist indications that the particular opportunity that we are considering is wrong for us. My dears, just because an opportunity is classified as a good one does not mean that it is right for us. We need to take the time to evaluate all opportunities that come our way and determine their appropriateness as it relates to our lives. Because even a good opportunity can take us down the wrong path if it is not a right opportunity for us. And pursuing such an opportunity can lead to unnecessary heartache, stress, and ultimately a delay in accomplishing the things that we are meant to accomplish.